Healthcare personnel, especially those involved in some specific departments and activities (emergency care, intensive care, surgical interventions, etc.) and non-healthcare personnel linked to this sector are often face the risk of infection due to injuries caused by needlesticks and other sharps injuries (scalpels, suture equipment, etc.). Health care workers may also incur injuries from improper procedures, such as passing sharps hand-to-hand between team members, placing sharps in a disposal container, or failing to use a safer sharps device. In the community strategy for health and safety at work (2007-2012), the Commission announced its intention to continue its work to improve risk prevention, among other things, relative to needlestick infections. Council Directive 2010/32/EU of 10 May 2010 implementing the Framework Agreement on prevention from sharp injuries in the hospital and healthcare sector provides a framework to put in place and implement practical preventative measures before the publication of the required national legislation in each country . Key words: Framework agreement, healthcare personnel, safety measures, working environment. Please cite this article as: Yaneva-Deliverska M. EUROPEAN UNION REGULATION ON PREVENTION FROM SHARPS INJURIES IN HOSPITAL AND HEALTHCARE SECTOR. J of IMAB. 2012; 18(3):357-359. 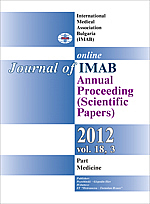 DOI: 10.5272/jimab.2012183.357. 3. Together for health: A Strategic approach for the EU (2008-2013) Official Journal of the European Union. C9E; 15 Jan 2010; v52:56-64 [PDF].